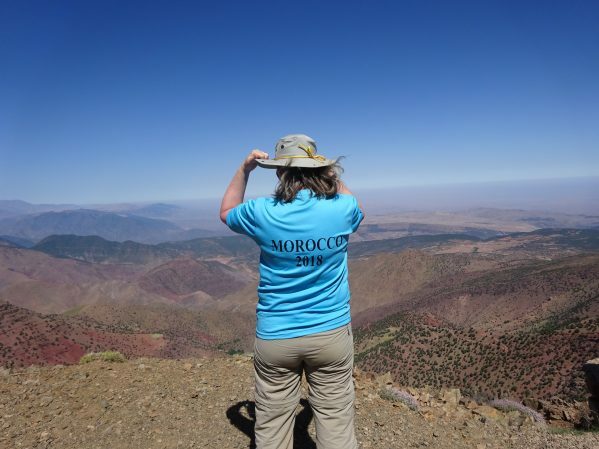 The high point (in lots of ways) of the trek through the High Atlas mountain range with the Trinity School team was summiting Oukaimeden mountain. It stands at 3258 metres high and is not insignificant. The team will testify to that! We began our assent at the ski lodge in the tiny resort of Oukaimeden. Already at an altitude high enough to have an impact, the day was tough from the outset. The journey to the top can only be described as a long hard slog. There was a gentle beginning of grassy slope, which soon turned into a slippery loose scree and finally ended in a rocky, sharp route. It took longer than our guide hoped but we made steady progress. 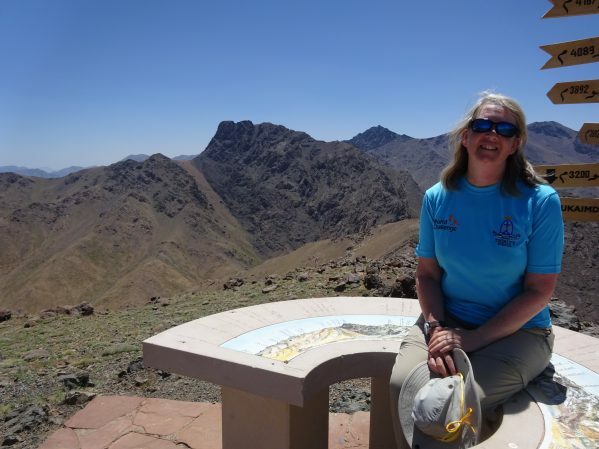 Rest breaks were taken every 20 minutes or so, to help cope with sore legs, thirst, laboured breathing and morale. 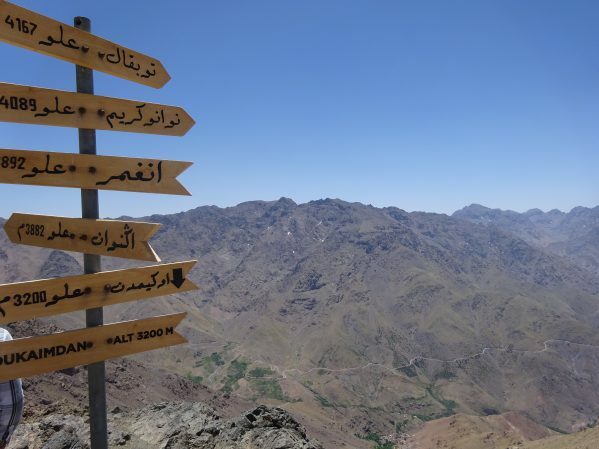 Once we reached the top we were treated to the most breathtaking views of the mountain range, included Toubkal, North Africa’s highest peak (4167m). 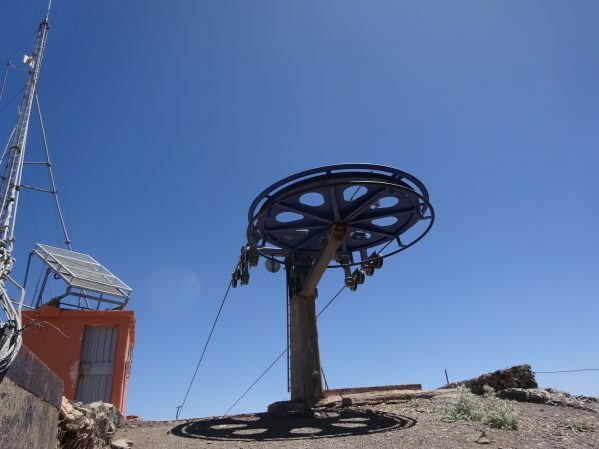 The ski lift gear and huts seemed incongruous on such a hot day. I would love to return and see them in their full working glory. The bench and sign post gave us all the information we needed about our surrounding vista. After the most delicious lunch ever we began our descent. This was via a different route and mostly consisted of very inelegant scree-surfing! We got to the bottom in half the time but I think it’s fair to say that the leg muscles ached more then they did when we got to the top. 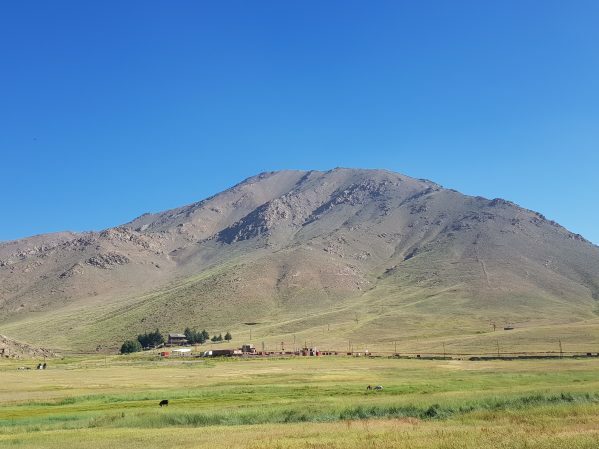 The scorpion sighting on the way down reminded us that this is not a place to be messed with and we continued to treat the mountain with the respect that it demanded. Apart from the obvious tiredness at the end of the day, the team were all highly satisfied with their achievement and displaying healthy signs of type 2 fun!